Insurance helps you protect yourself against risks like a house fire, car accident or burglary. You can also get insurance that pays you money if you get too ill to work or to provide for your family if you die. With insurance, you choose what you want to be protected against. Then your insurer calculates the risk that the events to be insured will happen and the insurance provider or insurer will determine the price you will need to pay (your premium). Choose a policy. An insurance policy is a document that lists exactly what you are or aren’t protected against. For example, a travel insurance policy might say that it’ll cover your medical bills if you injure yourself abroad – but not if you were doing something dangerous, like skiing. Pay the premium. The premium is the amount you pay each month or year (or sometimes just once) to have the insurance. The amount you pay depends on the risk and on the value of the events you’re insuring. For example, if you’re an inexperienced driver it’s more likely that you’ll have an accident, so your car insurance will cost more – and it’ll be even more if you drive an expensive car, because repairs will probably cost more. Make a claim. If something happens that’s covered by the policy, you can claim on your insurance. You tell the insurance company what happened, they check that it’s covered under your policy, and if the claim meets with what you’re protected against then they pay you as agreed. There are lots of different types of insurance – you can cover almost anything, from your wedding to your pets. 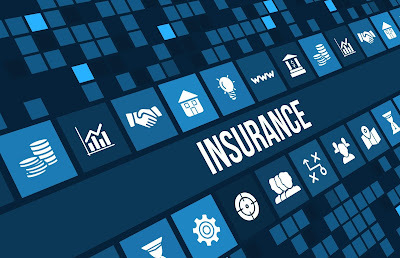 Some insurance is compulsory – you can’t drive a car without at least basic car insurance, and you can’t get a mortgage on your house without buildings insurance. After compulsory insurances, the most important thing is to protect yourself and your family. The types of insurance that you need will depend on what you need to protect. If you’re travelling abroad, get travel insurance to help pay your hospital fees and other expenses if you get injured or sick. If you have kids, what would happen to them if you died unexpectedly? Life insurance would help make sure they’re looked after financially. If you have a big mortgage, what would happen if you became too ill to work? Income protection insurance could help cover your payments. Think it over and look at prices – then you can start to decide what you want and what you can afford.